Large cruiser stern with generous windows and feature portholes to the rear. Entering from the front well deck, via glazed double doors into a very large, open-plan, living space. There is a Morso diesel stove in one corner, but otherwise this area is a blank canvas in light, grain-matched panelling. There is a good sized galley kitchen with a splendid cooker, 12v fridge, sink and plenty of storage. A dining table with four chairs is concealed in a kitchen cupboard. There is a full-width bathroom with sliding doors, a large shower, Thetford cassette toilet and a basin. 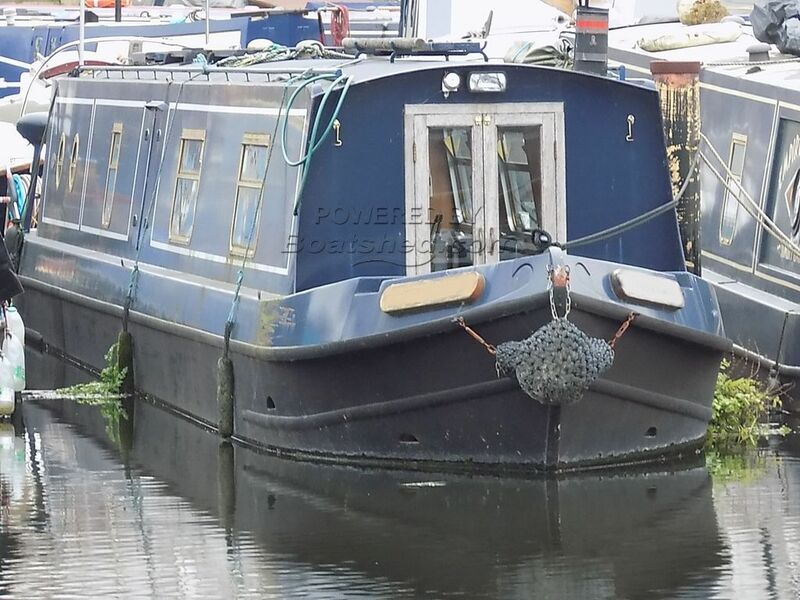 Boatshed Grand Union is very pleased to offer this Liverpool Boats narrowboat for sale. This boat provides a good and practical layout that would make a suitable liveaboard. The typical Liverpool Boats light-grained wood and large windows make her light and airy. Lying on a marina berth in Uxbridge she is ideal for a commute into London. The buyer would be able to take over the mooring for a transfer fee of 5% (plus VAT) payable to BWML. The marina is a 20 minute walk to West Drayton rail station with shops close by as well as its own facilities. This Narrowboat 58ft Cruiser Stern Live-aboard has been personally photographed and viewed by Richard Thompson of Boatshed Grand Union. Click here for contact details.